You guys should visit gasbuddy.com I have been using it lately to decide where to fill up. You would be surprised at the difference in prices locally. Probably 50-75 cents difference from high to low. 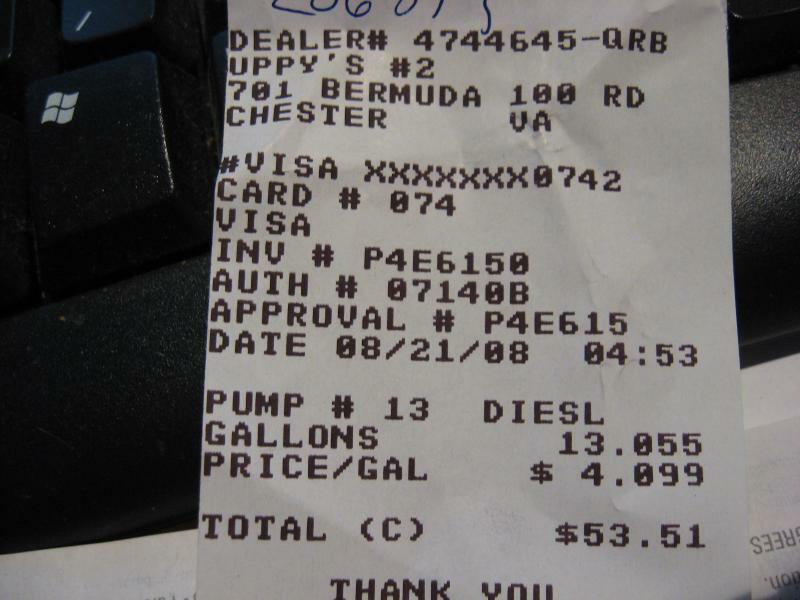 I agree, gasbuddy is a good source to find the cheapest fuel. For those that use gasbuudy, is there a way to narrow down to diesel? I just checked my zip, and a station I know that doesn't carry diesel was listed. Understandable, but it doesn't help. how long will they keep going down? How Long? Well, I have an update from yesterday - I was driving by the 7/11 on Boat Club Road in far NW Fort Worth (Eagle Mountain Lake) and diesel is $3.449 - it must be a mistake, as that station was $4.499 yesterday. I went home, got the 300SD, went back and filled it up. I will check out Md and Pa (US 15 and I-78) and NJ I-78 and Rt 17 tomorrow when I head north. These thread's info gets old pretty quickly, but I got diesel for $3.98 today. How bad is it where you're happy to be just under 4 bucks!! Its 4.19 now at truck stops....4.29 in the city.....lets hope it keeps comin' down!